This Rosco 14.5″ M4 5.56 NATO Bloodline Barrel was built around the M4 platform and is designed to be the next evolutionary step in the series. 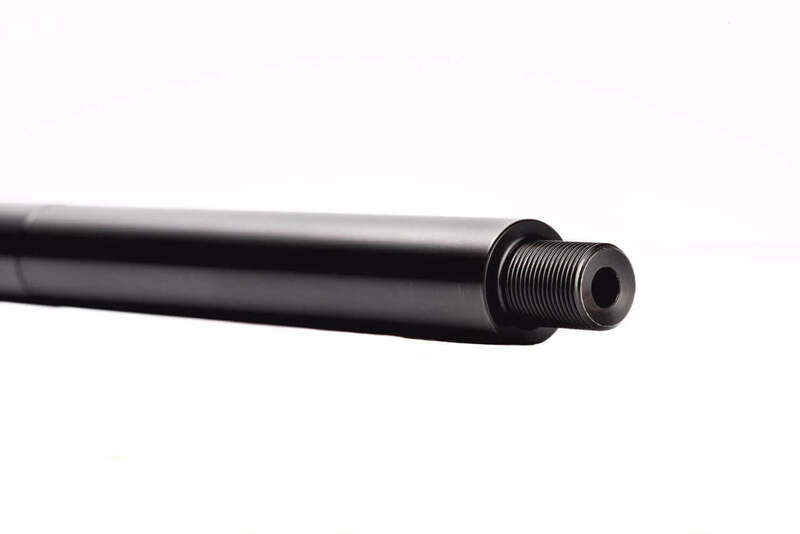 This barrel is perfectly suited for your next patrol or duty carbine build. ALL NFA RULES APPLY! 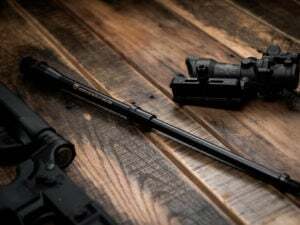 14.5″ M4 5.56 NATO Bloodline Barrel: This Rosco 14.5″ M4 5.56 NATO Bloodline Barrel was built around the M4 platform and is designed to be the next evolutionary step in the series. 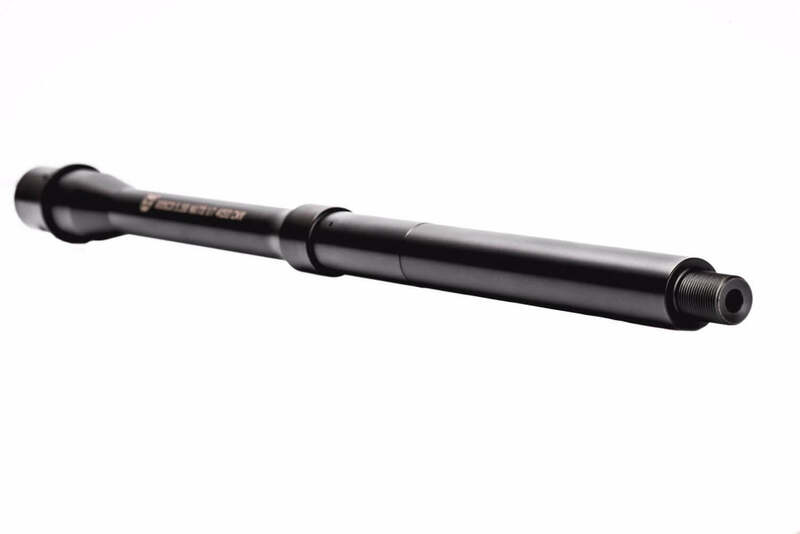 This barrel is perfectly suited for your next patrol or duty carbine build. ALL NFA RULES APPLY! Our Rosco 5.56 (NATO) barrels are designed to meet the modern day carbine shooters requirements. We are a long way from our daddy’s “Sporter” AR-15, and those specs just won’t cut it anymore. From properly managed dwell times for SBR’s, to running Suppressed, or setting up a balanced patrol carbine we have incorporated your needs into our engineering. We have successfully accomplished this by picking the right twist rates, gas port diameters, and barrel materials according to the barrel we are making (not a lazy blanket method). 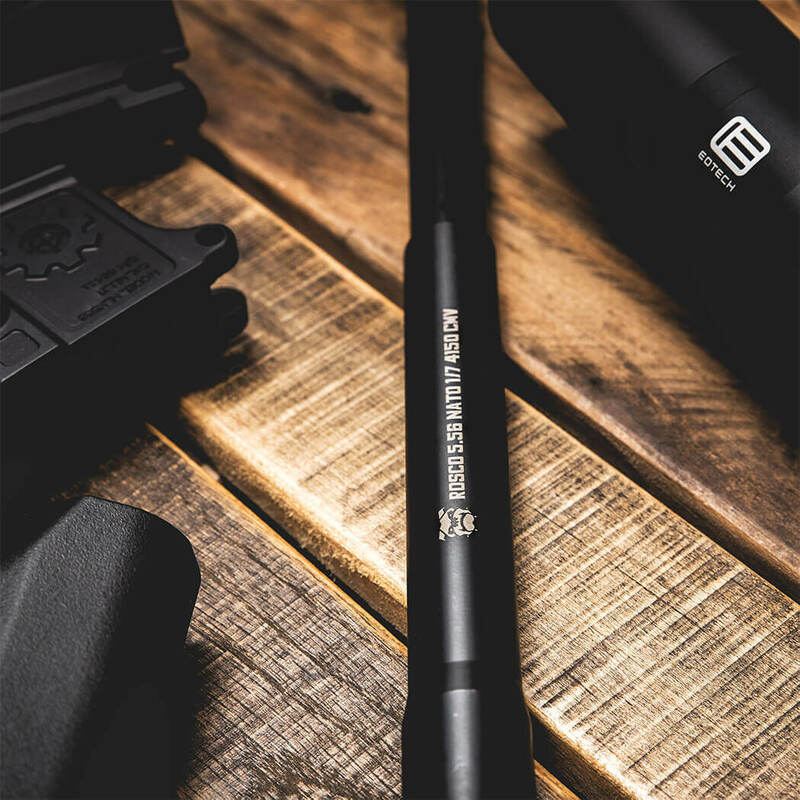 We have also balanced input from our consumers and military end users in order to bring you the rifle barrels you need, not just the one we want to sell you. I purchased two barrels for here, a 14.5in & 10.5in bloodline barrels. Shipping was Extremely Fast, which I Loved! I have purchased many expensive barrels in the past DD, Faxon, ect. But have never received a barrel like this. The barrel came in a custom Rosco Man. Box, with foam protection holding it in. A pamphlet and Rubber Rossco Patch was inside. You will love the patch! Lol The care and work that went into this barrel, let alone the packaging. Was out of this world, Excellent!! The barrel was top notch. I couldn’t believe what I received for half the cost of other top of the line barrels I have purchased. I used an adjustable gas block on mine. It has 1-7 rifling, so you can shoot anything out of this. It’s qpq coated inside and out. This barrel will shoot under 1 moa. I even shot thru the same holes with hand load ammo. This company makes great products and the people I talked to there were great, they answered all my questions I asked. I will definitely be ordering more products in the future. Thank you, For the Great Barrels & Service! I have a 14.5 5.56 and a 10.5 300blk barrel. These barrels are hands down the absolute best the industry has to offer. I am not sure of others shooting habits, I tend to run my guns harder than the average. Thousands of rounds later and I am an absolutely satisfied customer for life! Thank you Rosco for making a superior product we can trust and afford!!! 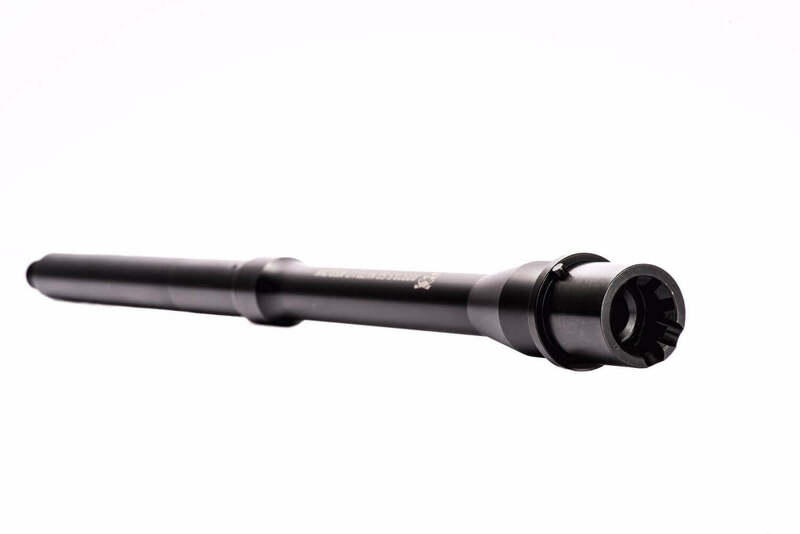 16″ M4 5.56 NATO Bloodline Barrel (Mid-Length): This 16″ M4 5.56 NATO Mid-Length barrel was designed around the USASOC specs for an Improved Upper Receiver Group with a little bit of the Rosco touch as well. The longer gas system allows for a smoother gas curve which leads to managed dwell times. This combo creates a great balance of speed and performance. This Rosco 16” 5.56 NATO “Slimline” barrel is the lightest 16″ 5.56 NATO barrel in the market without sacrificing reliability and performance. 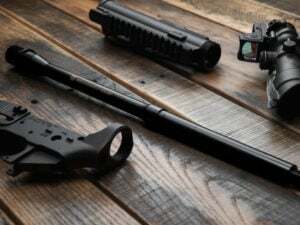 The requirements for light weight carbines has prompted us to create a barrel that will provide the end user with significant weight savings. 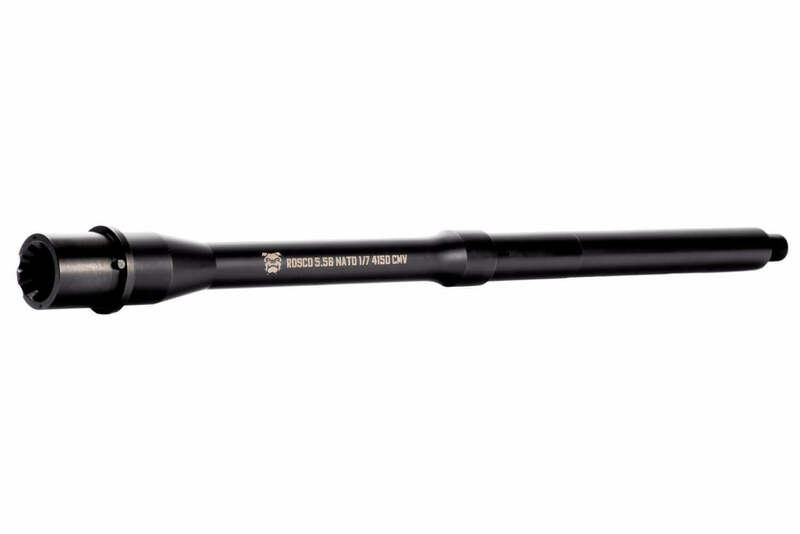 14.5” M4 5.56 NATO Bloodline Barrel (Mid-Length): This 14.5” M4 5.56 NATO Mid-Length barrel was designed around the USASOC specs for an Improved Upper Receiver Group with a little bit of the Rosco touch as well. The longer gas system allows for a smoother gas curve which leads to managed dwell times. This combo creates a great balance of speed and performance. ALL NFA RULES APPLY!